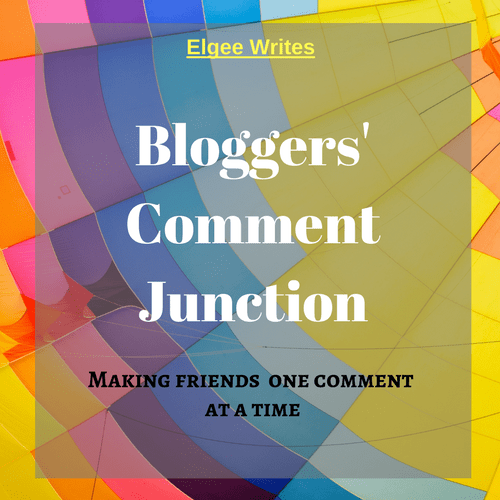 Earlier I had asked if anyone was willing to make new blogger friends, who would enjoy reading your posts and willingly comment on your blogs. And it was not surprising to me at all that many of you signed up because I know how much comments mean to all of us and hey, who would say no to a new friend? 2) They will visit and leave thoughtful comments back on the blogs that commented on theirs. In return all I am asking is to grab the button on your blog and share the word around the world. Looking for the form to sign up? It is right here. Ashley @ Mommy Daze: Say What?? Next articleBook Tag: Are You Naughty or Nice on the Santa’s list? Hi I signed up on the comment 4 comment sign up but can’t see my name on this list, so I have also signed up for the bloggers comment junction too, are these two seperate challenges or is this an update???? Your name is on the list Tracey! And this is a different idea. C4CC is a challenge for the year, while bloggers’ comment is a directory. Let me know if it works pl. This looks like a great idea. I can’t get the button to work on my blog though. I am not sure what went wrong. Let me recheck it right away. Glad you are taking part in it. Thanks, I downloaded the image and linked it to your page. I tried again on my test blog as well, it seems to work well for me. Can you recheck if you had copied the entire code? This is awesome and such a good idea! I’ve filled out my form, can’t wait to get involved! Welcome to the party. I will be seeing you around. Thanks to Avalinah for sharing this:) Excited to get started and to get to know more blogs (and by that, I also mean books…)! Yay, welcome to the club. Just shared it on my blog and will continue to do on social media too! I will be curious to read all of these different bloggers and get to know some new ones. It’s always exciting to get to read from new and interesting people. What a great idea!! Love the support bloggers show to one another! This is a fun way to meet other bloggers. Especially if you’re new to blogging. What a great list! I have found bloggers to be such a wonderful community of people willing to help each other out! I love this idea. Bloggers need to stick together and support one another. Writing from home can get both dull and lonely- I love this community solution! Plus, it’s always great to find new blogs to follow along with. Excited to join in next time! I love this idea. I am bookmarking it for the future. Right now I’m just so busy, I don’t have the time to commit, but once I do I am in! Interaction amongst bloggers is so important. It is a great way to share knowledge and experiences. Never thought of an idea like this. Thanks for sharing. I will try to signup. Megan @ Ginger Mom recently posted…AtoZ Challenge Level Badges Are Here!! Have you started blog hopping? I did just today and I enjoyed it so much. I FINALLY managed to get the button on my site (oh, I so hope it shows up! Me and html don’t agree lately lol). And I am going to start hopping around 🙂 Commenting is what I am so horrible at lately (I reply on my blog but forget so often to go and comment back and visit and all that fun stuff). So thank you for helping me to change that! Love it! I wish I had the time to commit to always following up. Ugh.. that is too bad. Have the GoDaddy guys replied yet? Moreover, it is the holidays season. What an amazing idea and resource! Must say this is very different than anything I have come across lately. And that’s a good thing. I think this is such a great idea. We could all do with a lot more friends and also more comments. I recently went to a meetup with other bloggers in my area and we went bowling. It was great fun and we have kept in touch even though I was only meeting them for the first time. Good luck with this too. That is so wonderful. I wish I have more real life blogger friends. Yes, this is an awesome idea! We definitely all understand the importance of engagement and spreading the blogger love! You can still sign up using the link in here Libby. We would love to you have you..